The Hyperion is a large and impressive chandelier comprised of six of our pendants (your choice in this), in the glass of your choosing. Please call us with your requirements and we can create a unique chandelier that will be the focus of your space. 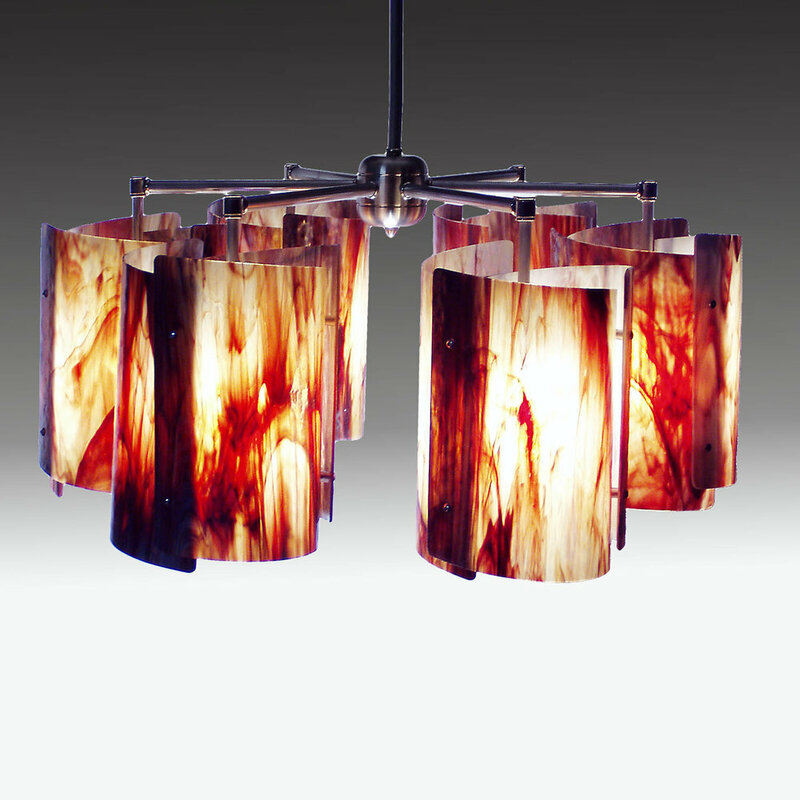 Choose any six of our pendant styles The glass elements are available in our very large collection of American art glass. Comes with 3 feet of ½" tubing drop tube in chrome, satin chrome, satin brass or dark oiled bronze with matching canopy and articulated hang straight. Custom colors available. Drop tube lengths greater than 3 feet are $10 per additional foot.